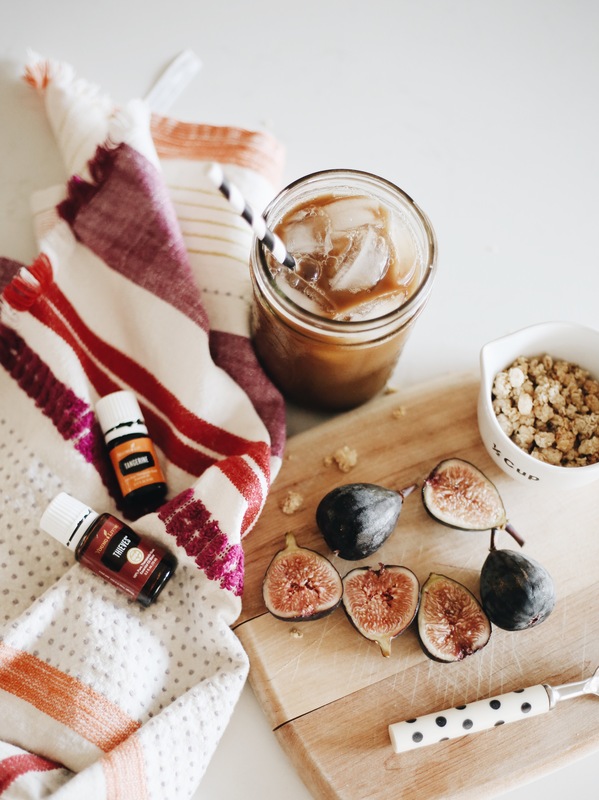 If you’ve been reading here a while, you know that we are slightly obsessed with essential oils. We started using them about three years ago when we were looking for some serious sleep support (hello toddlers & newborns!) and quickly fell in love with them and all of their benefits! If you are unsure of what essential oils are, they are the life blood of a plant, extracted via steam distillation and bottle for us to enjoy & to use to support our own body systems. Yep, I have that memorized. 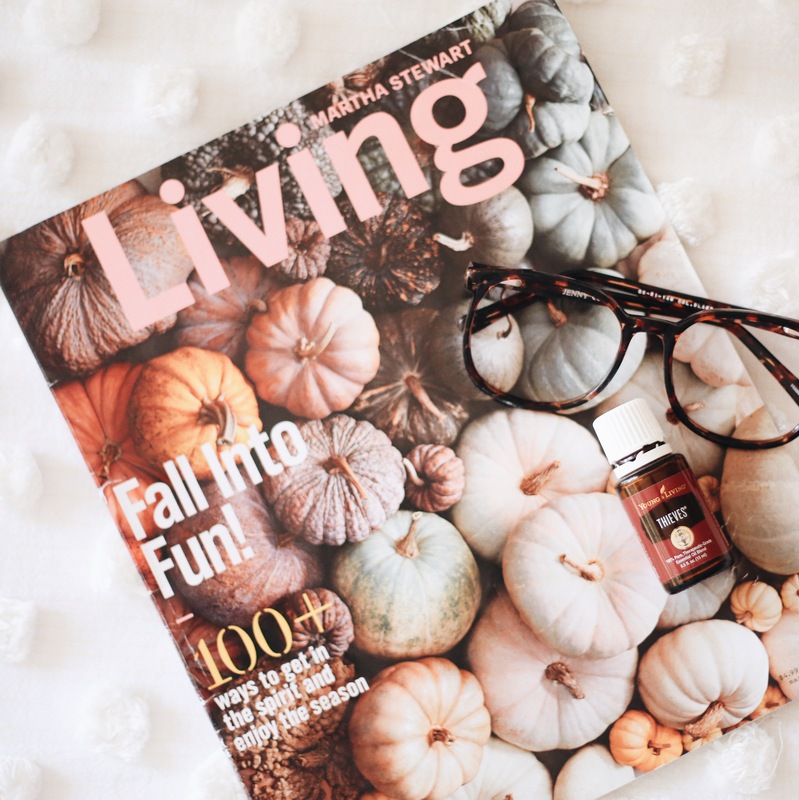 While I love using oils for dozens of different reasons and all year round, using them in the Fall is probably my most favorite (and the most important!!) so I thought I would share all about that in this post! Wellness // Tis the season!! If your kiddos are back to school, then Fall & Winter wellness is probably top of mind for you. This time of year can be so rough, so having great immune support is SO important. Thieves, which is one of Young Living’s most well known and popular blend, is our go-to oil right now. The name was actually inspired by the legend of four 15th-century French thieves who formulated a special aromatic combination composed of clove, rosemary, and other botanicals used to stay well while robbing the dead and dying. We do a few drops in a 10ml rollerball (filled with carrier oil like coconut oil) and roll down our spines and on bottoms of our feet daily. Sleep // Busy minds from back to school & all the fun Fall activities mean we need all the sleep support we can get. A few of my favorite diffuser blends for sleeping are Frankincense + Lavender + Orange, SleepyIze in the kids rooms, and Peace & Calming. 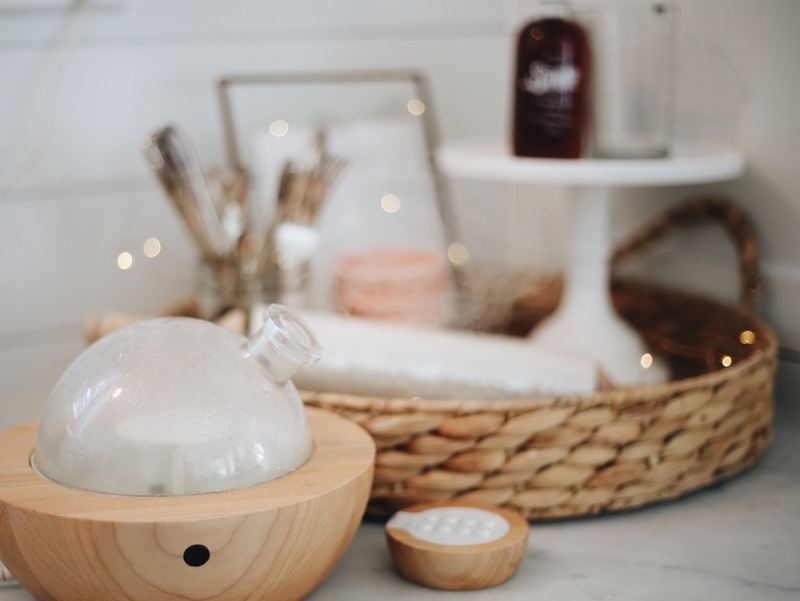 We start our diffusers about 20 minutes before bedtime and it creates the most relaxing, calming environment that encourages the dreamiest sleep. It used to take me hours to fall asleep (too many tabs open in my brain!!) and I am so thankful I can say I vaguely remember those days! Forever grateful for the way that oils have changed our sleep habits around here!! Skincare // I swear as the seasons change, so does my skin! 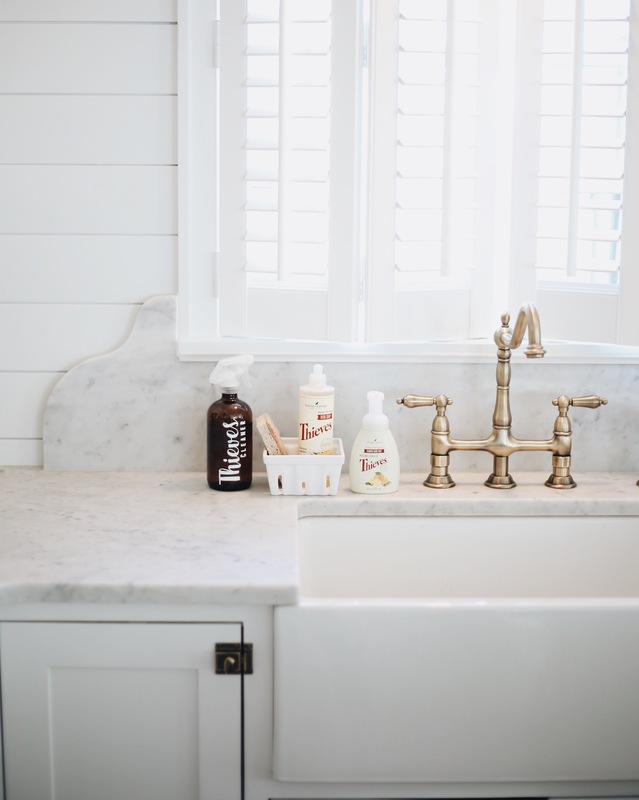 I threw away all of my old expensive skincare regimens a long time ago and have replaced almost everything with clean, safe skincare from Young Living. If you haven’t tried Mint Satin Face Scrub, let me just tell you, it will be your new favorite face wash ever ever ever! Our DIY Glow Serum is another must-have in your beauty routine. Glow Serum: 1 tbsp aloe vera gel (rich in vitamins c & e, helps to soothe skin & fight signs of aging), 15 drops Frankincense (brightens & tightens skin, fights blemishes & promotes healthy, glowing skin), 5 drops Geranium (promotes cell regeneration & supports smooth, healthy skin), 5 drops Copaiba and top with Jojoba oil. Apply to clean skin each night before bed! Game changer!! There are tons of different ways to use oils in your beauty routine, you can read more over here. 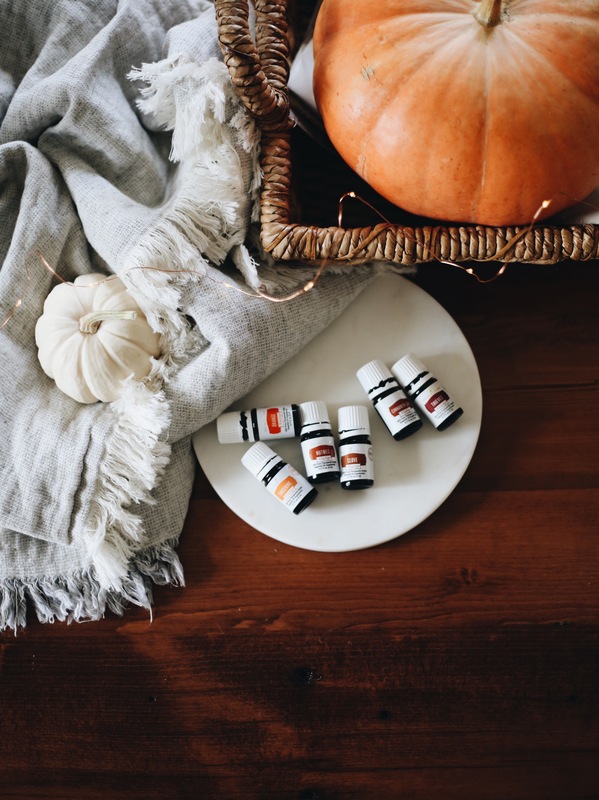 Diffusing // Everyone wants to make their house smell like an apple orchard + pumpkin patch + stroll through the crunchy leaves right? Or maybe that’s just me. If that’s also YOU, then keep reading. Did you know that the candles we burn in our homes can fill the air with lots of artificial fragrance & toxins that are actually harmful to our bodies? No fun, right? I still choose to have candles for decoration or burn an occasional candle during a dinner party, but for the most part, we diffuse essential oils instead. And rather than masking odors or other smells in your home, they also help to purify the air while making it smell good at the same time! Here are a few of our all time favorite Fall diffuser blends that I know you will love! You guys, diffusing oils & making up new fun combinations will never, ever get old. It is SO much fun and the best part, all of these blends support our bodies, our immune systems, our focus and emotions in so many positive ways!!! 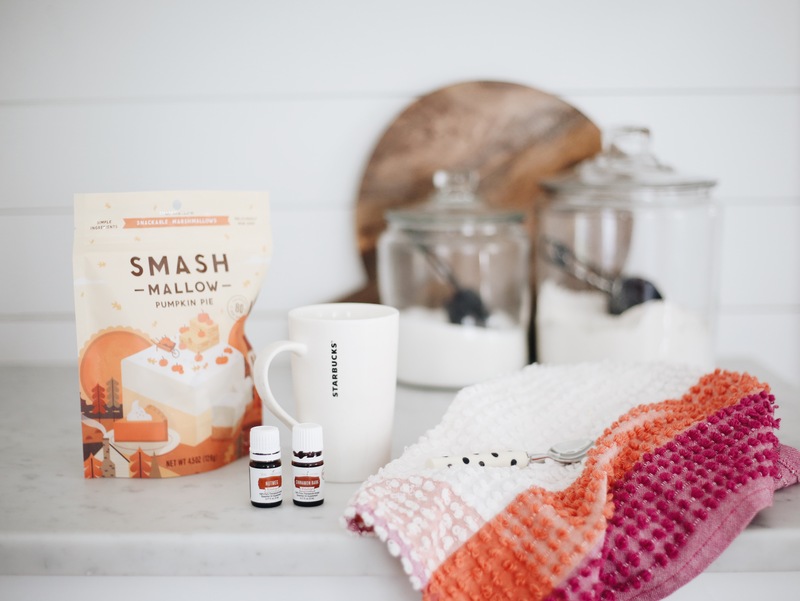 Oh, and of course a make-at-home pumpkin spice latte, if those happen to be your thing!! Combine milk, pumpkin puree & sugar in a saucepan over medium heat. Heat until hot, but don’t boil. Remove saucepan from heat and whisk in vanilla, essential oils, and coffee. Pour into two mugs, top with whipped cream or marshmallows, serve & enjoy!! YUM!! Would love to learn more about using oils in pregnancy. Its intimidating to figure out whats safe and what isn’t with all the different info out there! I want to get a couple diffusers for different rooms in our house, but I’m having a hard time finding pretty AND functional ones. The glass and wood one you have is beautiful! Do you have any other favorites that you would recommend? is that a diffuser in the first picture? whatever it is, it’s beautiful and I need it! Does YoungLiving have any guidelines for using oils around pets similar to the pregnancy page? Did you make the cute Thieves label for your amber bottle? How can I get one of those?